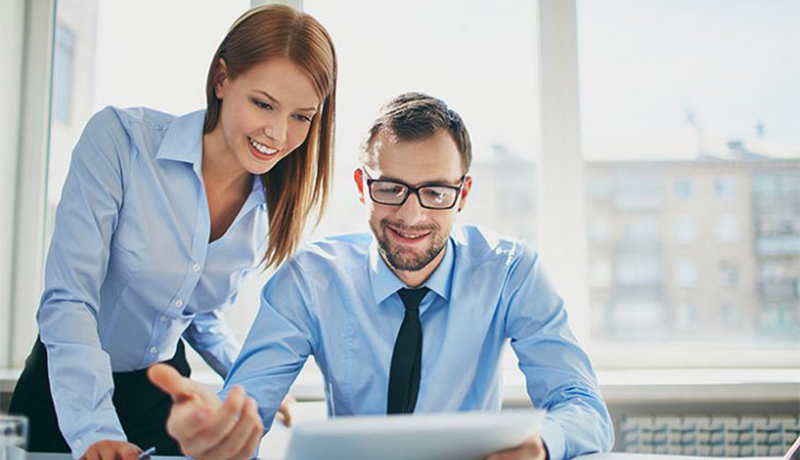 As of June 9, broker/dealers, investments advisers, and other “retirement advisers” will be considered fiduciaries to IRAs and other retirement investors, and will be required to meet the Impartial Conduct Standards established by the fiduciary rule. These requirements will remain in force from June 9 to January 1 (the “transition period”), when all provisions of the Best Interest Contract Exemption become effective. In a Field Assistance Bulletin issued on May 22, the DOL stated that it “will not pursue claims against fiduciaries who are working diligently and in good faith to comply with the fiduciary duty rule and exemptions, or treat those fiduciaries as being in violation of the fiduciary duty rule and exemptions.” The Field Assistance Bulleting is available here. The DOL also released a series of FAQs to help retirement advisers better understand their responsibilities during the transition period. The FAQs are available here. The FAQs confirmed that the DOL will continue to review the fiduciary rule to determine if it should be retained, amended, or withdrawn. Barring an unanticipated ruling in the courts, this means that as of June 9, broker/dealers will be fiduciaries to their retirement investor clients. Broker/dealer firms providing services to retirement investors can no longer delay their plans to implement the Impartial Conduct Standards. Even if those plans are not fully implemented on June 9, firms must be able to demonstrate that they are “working diligently and in good faith” to act as fiduciaries and to adhere to the Impartial Conduct Standards. The recommended transaction may not cause the firm, its representatives, its affiliates or its related parties to receive, directly or indirectly, more than reasonable compensation. The firm and its representatives may not make materially misleading statements to a retirement investor. This includes statements about the transaction, fees or compensation, material conflicts of interest, or other relevant matters. The grandfathering of any practices inconsistent with a firm’s fiduciary duties will end on June 9. While investment advisers typically have policies and procedures that go a long way towards meeting the Impartial Conduct Standards, it is worth remembering that the Impartial Conduct Standards do not include disclosure as a means of meeting the adviser’s fiduciary duty. IAs must be able to demonstrate that their recommendations to retirement investors are, in fact, in their clients’ best interest. Recommendations. Broker/dealers that have not yet developed policies and procedures to determine whether or not a recommendation is in a retirement investor’s best interest must rapidly begin developing and implementing those policies and procedures. Investment advisers should review their services to verify that, absent disclosure of a conflict of interest, they can demonstrate that their recommendations are consistent with the best interests of a retirement investor. Compensation. Evaluate current compensation arrangements and verify that they are consistent with what is typically charged in your area. 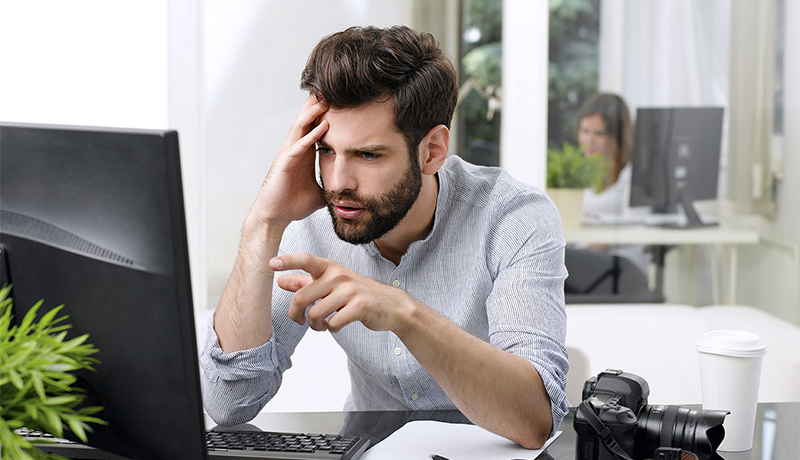 Eliminate instances of “double-dipping” (for example, charging both an advisory fee and a 12b-1 fee for mutual funds in an IRA) as that is presumably “unreasonable.” NOTE: The level of compensation for reps required by the Best Interest Contract Exemption will NOT become effective until January 1. Procedures. While procedures specifically mandated by the BICE are not required until January 1, it will be difficult (if not impossible) to demonstrate compliance with the Impartial Conduct Standards without written procedures showing the specific steps your firm uses to adhere to these standards. Moreover, written procedures are your firm’s first line of defense should a rep fail to comply with the Impartial Conduct Standards. Finally, firms must begin training their reps, officers, and staff on the Impartial Conduct Standards. 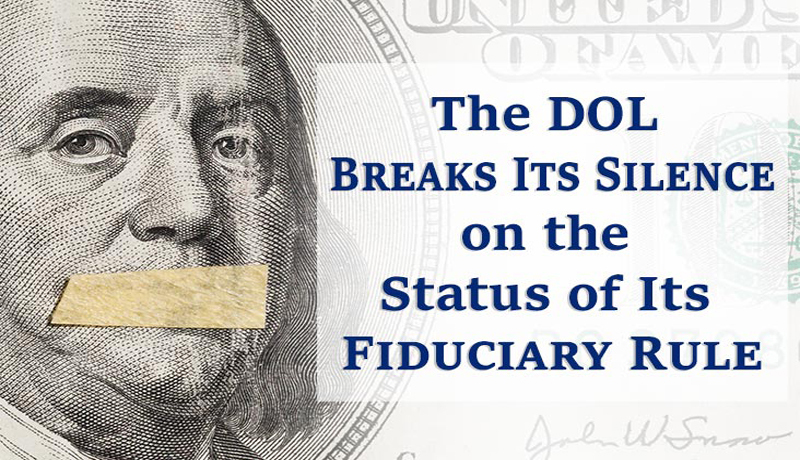 Though the comment period ended on April 17, the DOL is still accepting comments regarding the sweeping review of the fiduciary rule required by President Trump’s memorandum. It is entirely possible that later this year the DOL will issue further rules that amend or withdraw the fiduciary rule. We are watching appeals to judicial rulings upholding the fiduciary rule to see if any parties successfully request additional delays or injunctions to the June 9 applicability date.